Animation by Bandai & Bee Train. .hack//Roots This installment of the .hack franchise is set in the second version of The World where two new players named Haseo and Tabby have different experiences in playing the game as they become part of a player guild called the Twilight Guild to seek out the whereabouts of a mythical item called the Key of the Twilight. If you seen titles from the first generation of .hack titles like .hack//SIGN, you will likely pick up on where the show's story direction may be going. However unlike a number of the earlier .hack anime, .hack/Roots lacks a good deal of the character depth and real-world connections offered from those titles that made them engaging to watch and gave more dimension to the series. 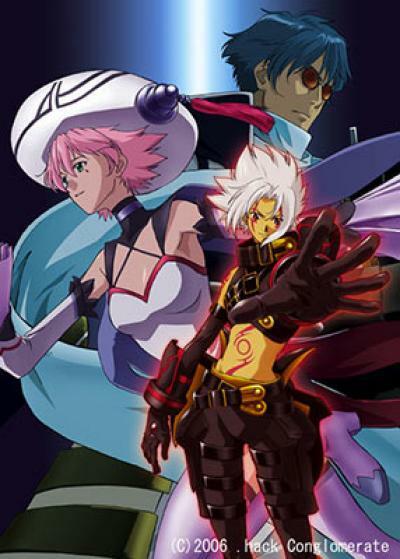 While offering some decent focus on the different paths that Haseo and Tabby get out of their experiences playing in The World, the series is greatly limited in its focus on its larger story as it is deliberately left open-ended for the .hack/GU video games that are part of the .hack multimedia franchise in general. Not to mention for a lead character, Haseo can come across as a bit of a jerk at points in his character focus, especially during the second half of the series when he gets affected the main events shaping the franchise's story. Overall, Roots is a mostly forgettable entry in the .hack franchise since it mostly exists as part of a larger multimedia franchise with avenues that either not all fans will have interest to seek out or are unavailable for easy American access. Last updated Monday, March 05 2018. Created Monday, March 05 2018.